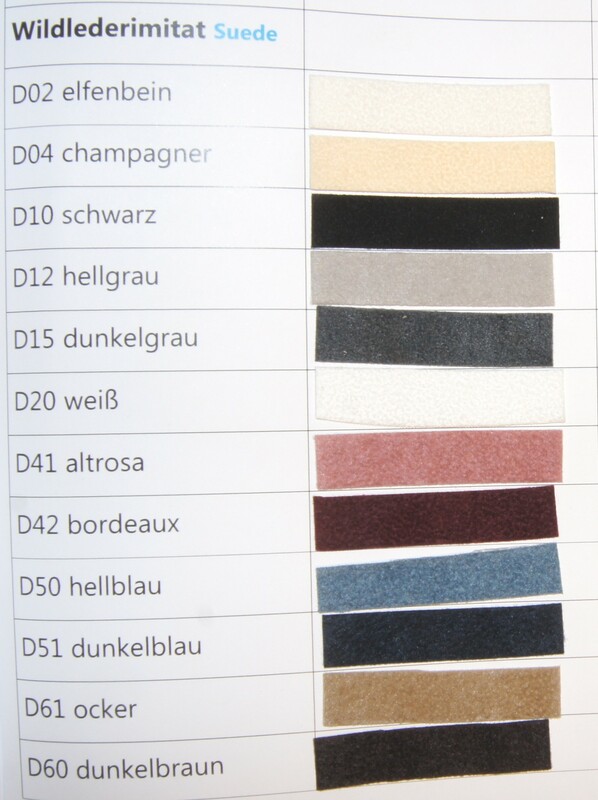 You can choose between a lot of colours and material as you can see at the picture. 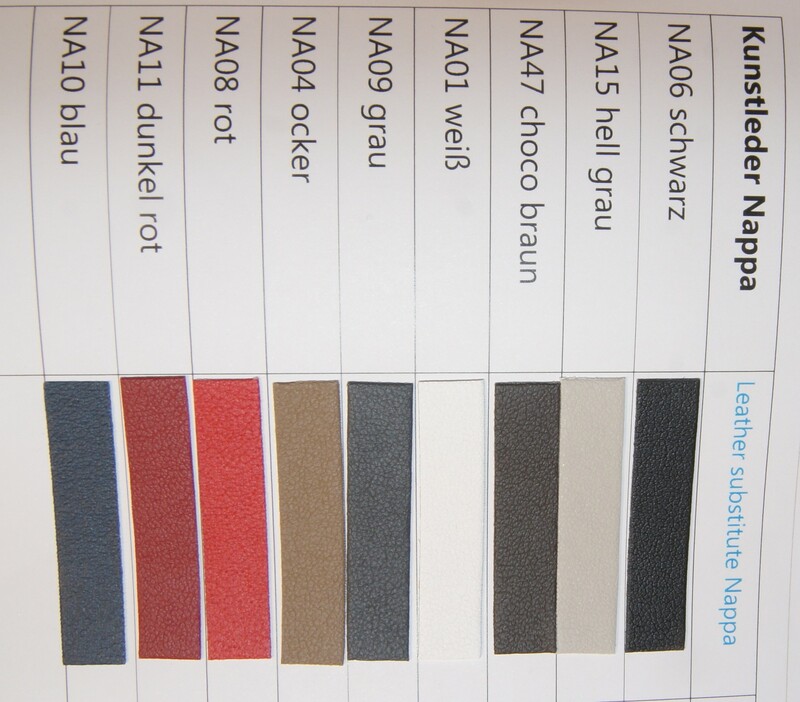 Our leather substitute Nappa is reagually used for the trays and the cases. The jewelry trays are made of suede.